A tugboat, beach cottage, and vintage El-Ray. Three unique places to ramp up your summer vacation. When you're planning that perfect vacation, why stay on the tried and true? Expand your mind on what a vacation rental looks like, it could be as unique as you are. 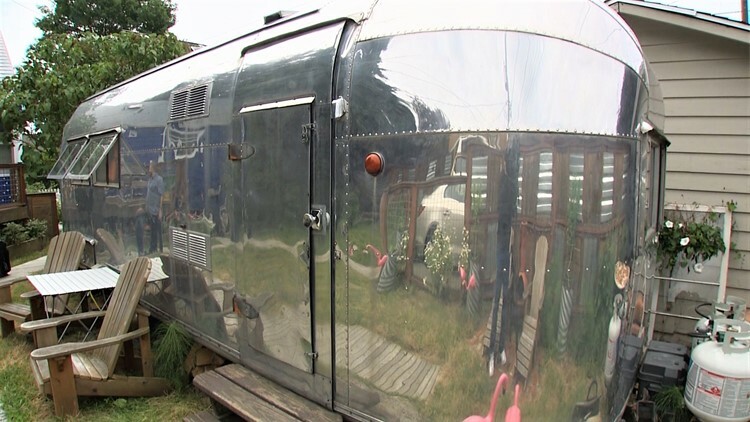 "A lot of people think it's an airstream but that's not true. It's actually an El-Ray," said owner Shawn Telford. "Inside has been completely refurbished. There's a couch that slides into a bed, it's got a full-size shower." The trailer is located in Freelard. It even comes with pink flamingos. Why would people be interested in renting a trailer? "They want tiny homes, people are getting rid of stuff and they are trying it out." That very idea brings Shawn many returning customers. "I'm five star baby! I'm a super host! You're going to stay somewhere when you come to Seattle, so why not stay somewhere cool or interesting. You may even get a story out of it, you know?" If you want to stay the night in Shawn's El-Ray it'll cost you $75 dollars. "I want people to have a good time, I want them to go home and say 'wow man, Seattle was awesome! We stayed in a trailer in some guys backyard, it was amazing'"
Moving a little closer to the water, we find a Tug Boat in Salmon Bay available for stay. 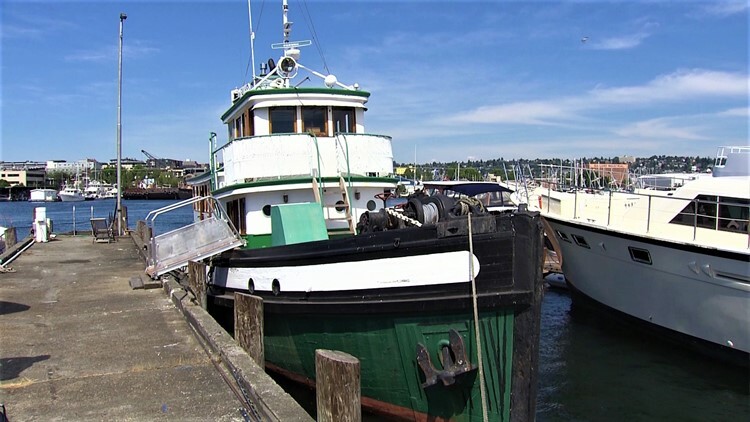 "We rent a 1927 tug boat named the 'Sally S'. What a quintessential experience to stay on a working tug that's been working in these waters her whole life," said owner Michael Marian. The tug boat is a lot more spacious than you would think. "It has a nice bed, big four-foot shower, nice accommodations in the galley, it's very bright and airy and there's a lot of doors and windows that open too," said Marian. The boat weighs quite a bit, so it doesn't move very much. The boat sleeps three people and there's even some history to it. "The wheel house is a really cool place to hang out. You can look at some of the old charts that are still there, it's got a day bed." And the party is in the back. There is a table available for eating, drinking or just having fun outside while being on the water. "Hanging out on the back of the tug is something remarkable. To be in the middle of the city you feel so isolated and quiet at night, it's really something else." 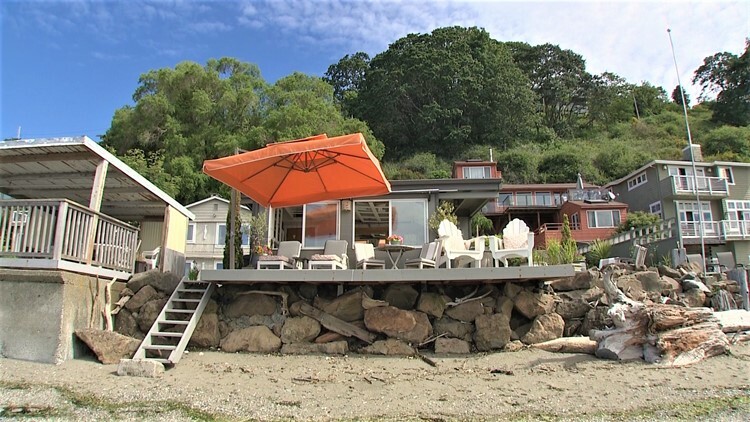 This beach house offers endless&nbsp;amenities and is right on the water! Next we head over to an even more peaceful oasis in Three Tree Point in Burien. "The place is actually two places. This wonderful cabana, deck, patio outdoor fireplace area. There's wonderful opportunities for dining and entertaining. And there's additionally an apartment," said owner Kathy Harmon. It's a tight knit community along the beach, but it still feels spacious. "The apartment is very well appointed it has a living space, a small kitchen area in one room with a bedroom and a bathroom and washer and dryer." The big picture about this place is that it's this peaceful, beautiful NW experience here on Puget Sound but it feels like you're at a luxury resort but it's yours! "The way it's been designed you feel like you are alone and private and it's a really nice experience." Kathy also has five-star reviews and is a super host. "Every morning I wake up and pinch myself because it's just an incredible community and place."